It is a highly proficient software which migrates NSF files to Adobe files in a reliable and user-friendly manner. It even shows the progress details during conversion in a transparent way, giving users an insight into the migration process. 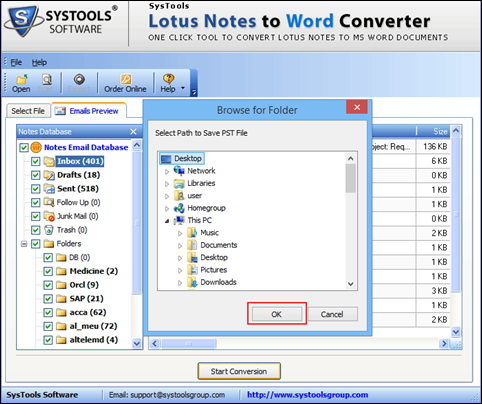 Due to its immense versatility this, Lotus notes NSF to PDF migration tool has attracted a lot of user attention. Convert emails along with attachments in PDF. Generates a single PDF file for every NSF file. Perform a quick scan to rescue all email items. Preserves all metadata information after export. Can perform a selective export of specific NSF file. 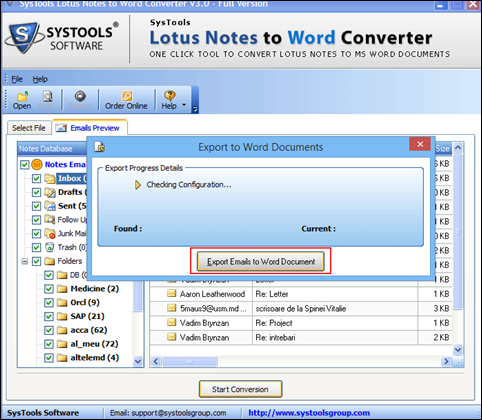 This tool exports Lotus Notes emails into PDF files including Inbox, drafts, Sent Mails, etc. It also creates a single Adobe file with attachments included, for every NSF mail. 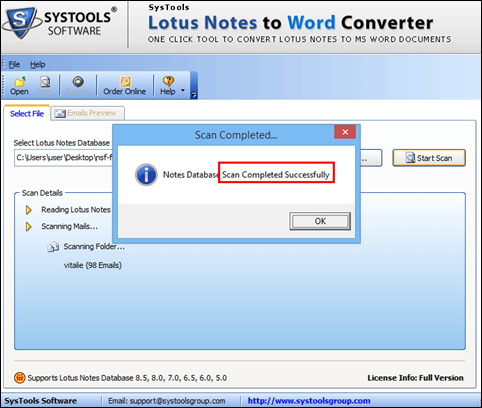 Before conversion, it loads, scans and rescues all NSF files to recover entire Lotus Notes email contents. It helps the user in detecting all mails and previews them. Metadata status such as To, Cc, Bcc, Sent, attachments, etc. are retained in the PDF files even after conversion from NSF document to PDF format. Also, original formatting in mails is preserved after migration. 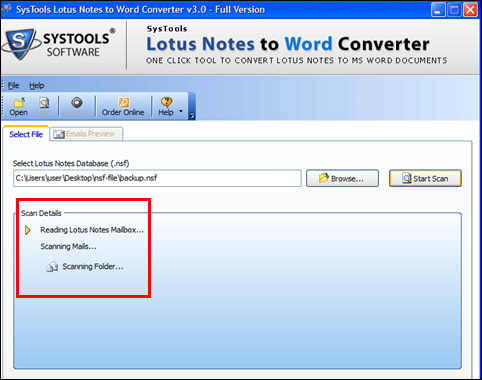 All the linked attributes related to emails are previewed after scanning and recovering of Lotus Notes files. NSF to PDF Converter also shows the folder count after .nsf files are switched to .pdf files. With this tool, users can implement migration from .nsf file to .pdf files selectively for specific folders. It has ‘check and uncheck’ option to select folders you want to convert to PDF. While moving NSF items to PDF files using this software, a special progress report is displayed to let users know the complete real-time status of conversion and number of files converted, from starting to end. Q 1. 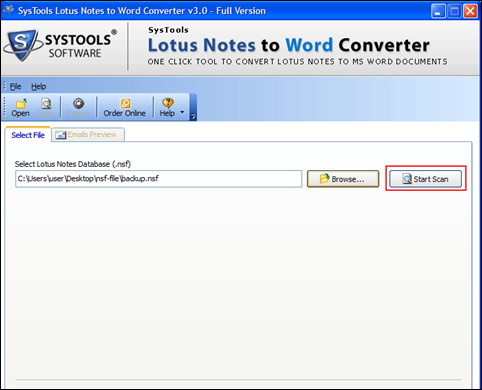 Will the large NSF file size create a problem if I convert Lotus Notes to Adobe using this tool? No, there is no file size restriction while users migrate From .nsf files To .pdf Adobe files using this tool. Does this tool includes email attachments while it migrates NSF files to Adobe files? 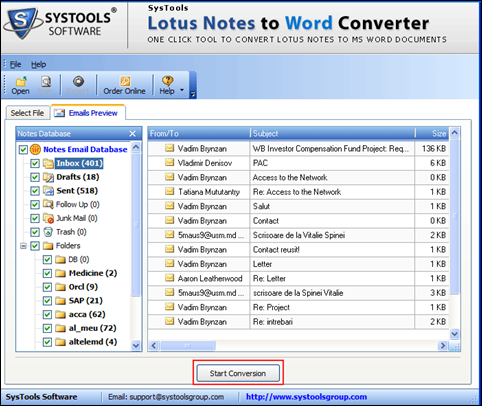 Yes, this tool not only converts email but also the linked attachments into PDF file format. Is it possible to switch from .nsf to .pdf file format without installing Adobe Reader? No, it is not possible to perform migration from Lotus Notes document to.pdf files without Acrobat Adobe Reader. 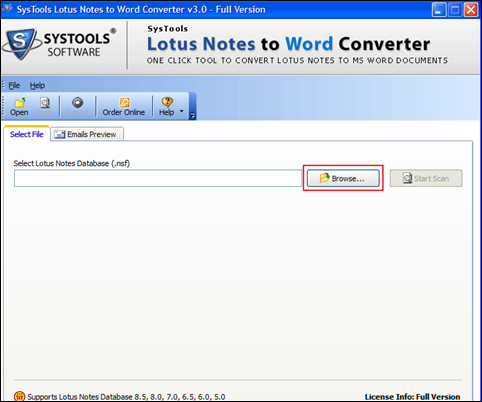 How to Transfer Lotus Notes File to PDF? Step 1 : Download & install the tool. A window will open on the screen, click on ‘Browse’ to choose the desired .nsf files. 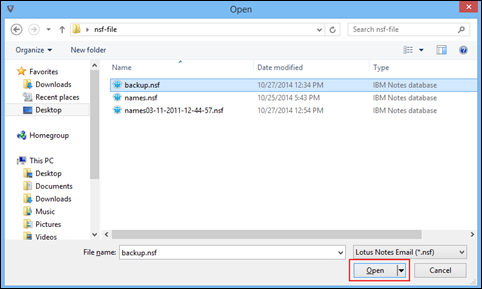 Step 2 : After this, select the NSF file you wish to export and then, click on the ‘Open’ option. Step 3 : Now, click on ‘Start Scan’ option so that software loads and scans all associated mails. Step 4 : Live status of export will be displayed on the screen until the scanning ends successfully. Step 5 : A message will pop-up after the database scan gets finished in a successful way. Step 6 : Once all the mails are listed, click on ‘Start Conversion’ option to begin the migration. Step 7 : Choose a destination location to save exported .pdf files and click on the ‘OK’ button. Step 8 : Select ‘Export emails to PDF’ option to begin conversion from .nsf to .pdf Adobe files. Step 9 : Finally, click on ‘OK’ button after successful migration of nsf file in to abobe pdf file format. I was confused between many tools available in the market for moving NSF to PDF files. Then, someone suggested me this software and I must say I am extremely satisfied with its conversion mechanism. It stands unique among all other software in the market today. You people have done an awesome job. Thanks a ton! This product is a one-time investment but it’s worth it with its unbeatable performance. 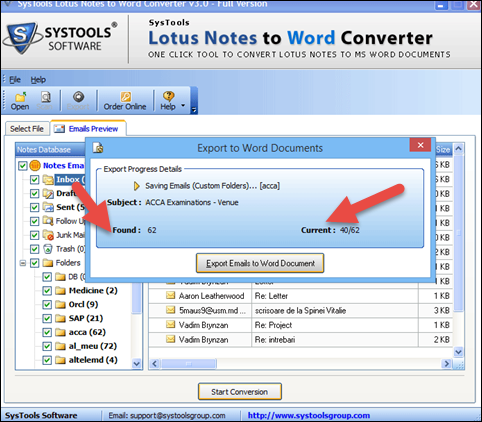 The process of how to export lotus notes emails to Adobe files has become extremely easy to even a non-technical user like me, because of this reliable tool. My advice for other users is to “Just go for it".